Make sure that NDU has already performed an update. Make sure that RightEdge is closed. 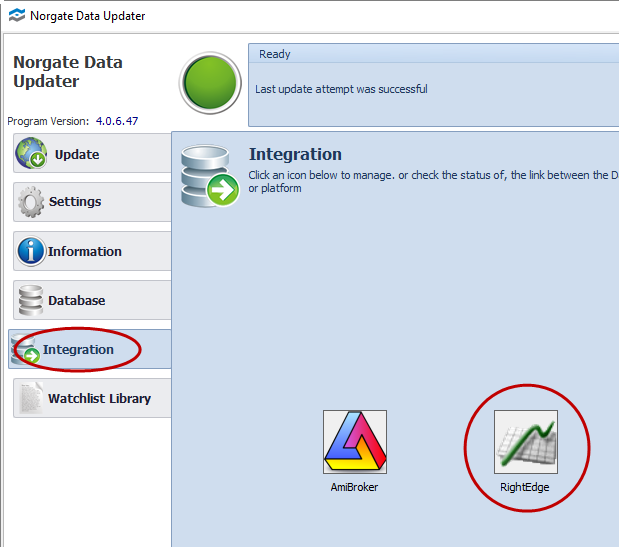 Open NDU and click the Integration tab. 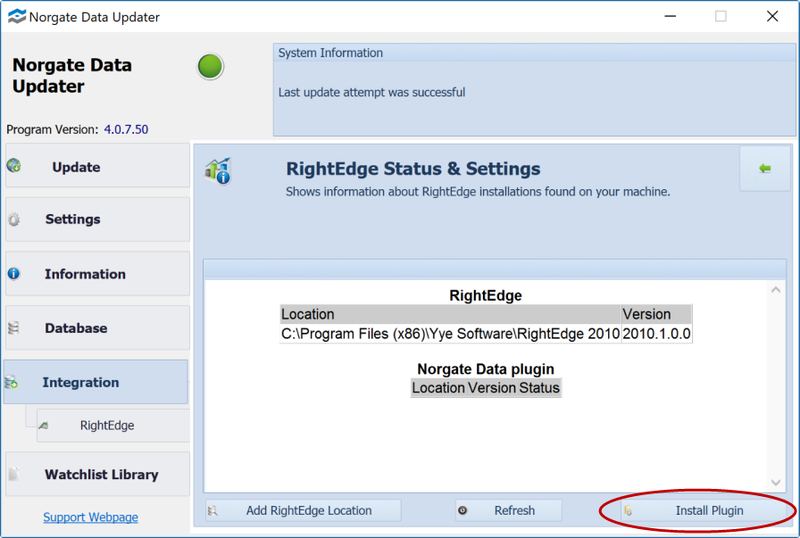 NDU should have already discovered where RightEdge is installed and taken note of the program version. If this information is already displayed, click the button to "Install Plugin". Please note: Installing the plugin for the first times entails making changes to your computer. As a result, after clicking Install Plugin, you may be presented with a series of User Access Control popups asking you to agree that the changes can proceed. 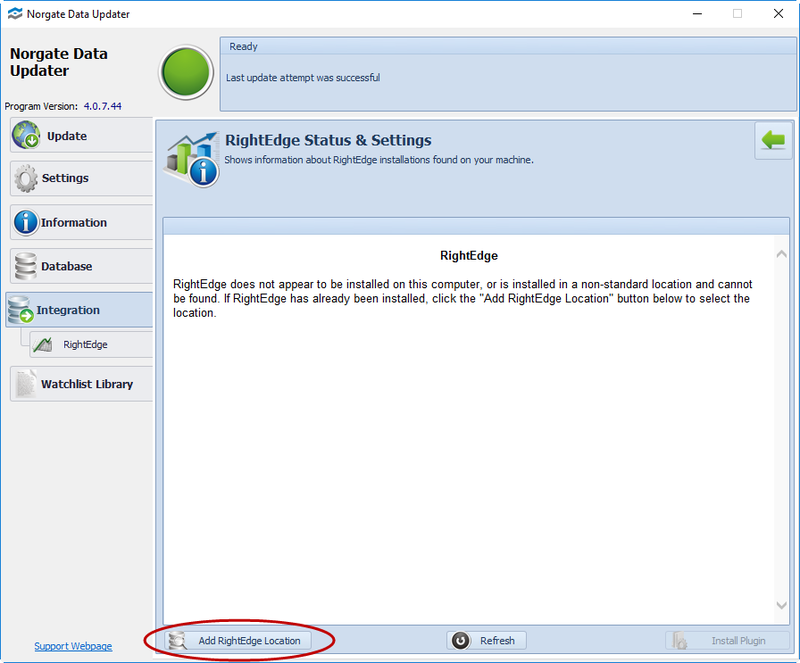 If NDU hasn't detected your RightEdge installation, the Install Plugin button will not be active. In that case, click the "Refresh" button for it to search again. 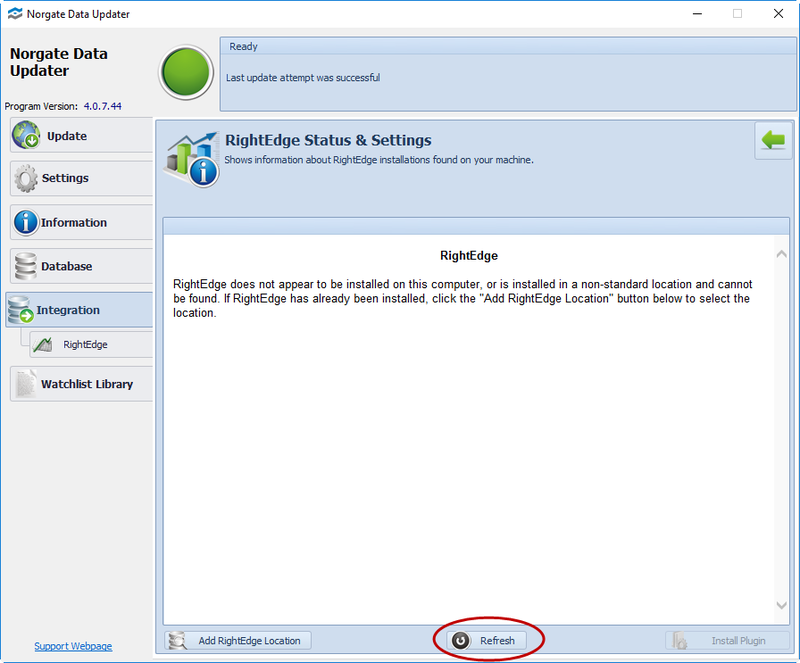 If the installation remains undetected, click the "Add RightEdge Location" button and then navigate to the RightEdge installation folder to select it. After this has been done, click the button to "Install Plugin". 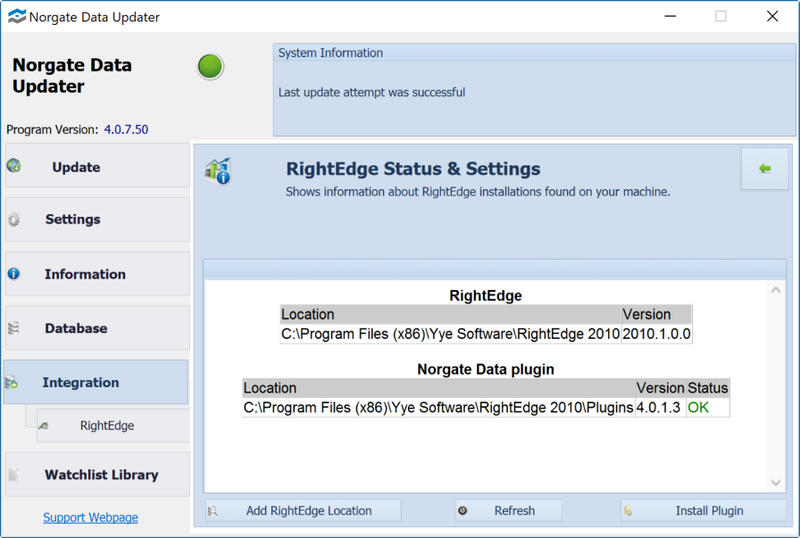 Now you can proceed to configuring RightEdge to use the Norgate Data Plugin.